Industrial Clutch Parts Ltd. supply a complete range of Hilliard Linkless Centrifugal Clutch. Available in a variety of sizes, suitable for your applications requirements. Hilliard Linkless Centrifugal Clutches have been manufactured and designed to provide automatic, gradual and cushioned engagement over a speed range on high-inertia loads. Unique in design, they combine a dowel pin, vibration dampening bushing and a symmetrical spring.  Industrial Clutch Parts Ltd. distribute Hilliard centrifugal clutches to a broad range of applications used in a variety of industries. Hilliard linkless centrifugal clutches are ideal for applications such as fans, blowers, conveyor drives and mills. Hilliard linkless centrifugal clutches combine a dowel pin, vibration dampening bushing and a symmetrical spring design. Offering a long service life at an economical price. Manufactured and designed to provide soft start operations, load-free starting and overload protection. The soft start-up operations absorb shock loads, whilst the vibration dampening bushing eliminates torsional vibration. Ultimately reducing the risk of downtime and minimising costly maintenance repair.